The series on Amazon Prime, Transparent, is not only about the broad issue for the LGBT community of inequality but specifically the main character, Maura, played by Jeffery Tambor is a trans-person. Maura was born a man who always felt she was a woman and hid her true self from her friends and family her entire life and waited until her children were all adults before she even came out to anyone except her wife. The show is about Maura’s process of gender reassignment, and the obstacles both she and her family face. I believe IMDB described this show the best in their summary: “An LA family with serious boundary issues have their past and future unravel when a dramatic admission causes everyone’s secrets to spill out.“ Although Transparent only has one season out so far, it has already won a plethora of awards. Jeffery Tambor who is the main character won a golden globe this year for Best Performance by an Actor in a Television Series. Also, the show won a golden globe for best television series. In addition to the shows golden globe awards other wins for transparent include an AFI award for TV series of the year, Outstanding Directorial Achievement in a Comedy Series from the Directors Guild of America, and four awards from the Gay and Lesbian Entertainment Critics Association (GALECA) just in 2015 alone. Between 2014 and 2015 transparent was also nominated for five other awards. It is my personal theory that this show inspired/have Bruce Jenner the courage to come out himself after hiding the truth about this gender his entire life. 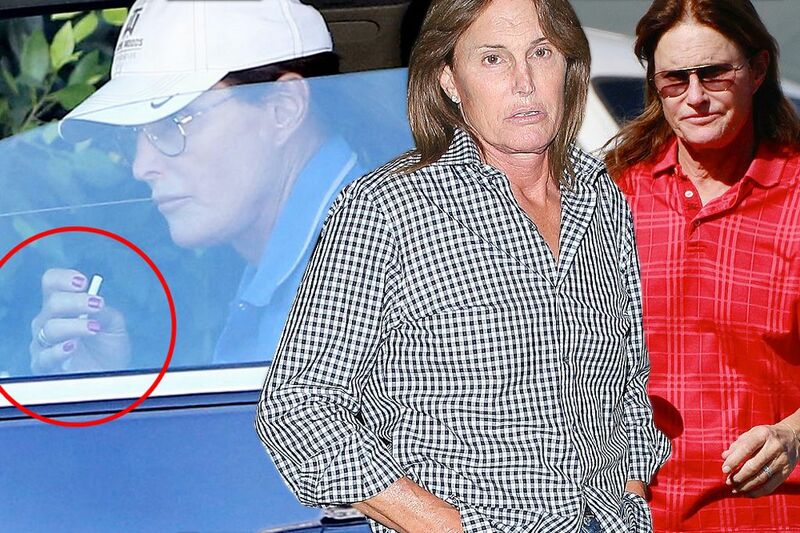 Recently Jenner has grown his hair out and been spotted out and about sporting a bright red manicure, everyone in his large family is alleged to be supportive of Jenner except for his ex wife, Kris Jenner. 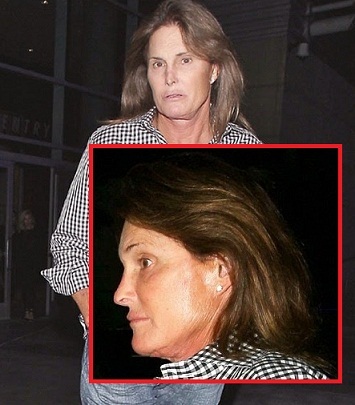 In case you haven’t heard, not too long ago Bruce came out to his family that he is trans. Now he is getting his own spin off series to document his process of becoming a woman. The story line is a little similar… But this will be a reality show. Honestly, if you’ve seen season 1 of Transparent you will know that the concept of Jenner’s reality show totally mirrors Transparent. There have been shows and movies that have come before the show “Transparent” that have shed light on the subject of the inequality that exists for the LGBT community but not much progress has been made for the civil rights of this group really since Harvey Milk in the year 1978 when he was a member of the San Francisco Board of Supervisors from District five. Lady Gaga tried to help in 2009, when she gave a speech about the DADT policy. According to Wikipedia, Lady Gaga “called the October 11, 2009, National Equality March rally on the National Mall ‘the single most important event of her career.’ Gaga attended the 2010 MTV Video Music Awards accompanied by four gay and lesbian former members of the United States Armed Forces who had been unable to serve openly under the U.S. military’s ‘Don’t ask, don’t tell’ (DADT) policy”. So far Laverne Cox has been the only person openly representing the transgender portion of the LGBT community. Laverne Cox is an Emmy award nominated actress and a respected African-American business person. Cox was nominated for her role as Sophia on the Netflix Original series, Orange is the New Black. In 2014 she won Glamour Award for Woman of the Year. Also in 2015, Orange Is the New Black won the Screen Actors Guild Award for Outstanding Performance in an Ensemble in a Comedy Series. OITNB has won 30 awards and been nominated for 52. I agree with the following point that Linda Holmes made in the article “What Monkeys Eat” because I feel that it correlates with the fact that the inequality of this group of people is not only absurd but unnecessary. The utter lack of importance of the underlying subject, in fact, is exactly what tells you how close to the surface and at how high a temperature these conflicts are simmering. In fact, it is often those conversations about seemingly insignificant cultural issues that (for me) sheds light on what makes larger issues of war and peace and the economy so difficult to address. People absolutely make decisions about where to get information based on who understands and relates to them culturally. In this case the underlying subject is obvious, it’s about accepting not out casting this group of people. These shows that are talking about the issues or even just using a Trans actor or actress are helping by shedding light on the subject and putting it into the collective unconscious of the people. I agree with another point that Linda Holmes made in the article “What Monkeys Eat” in which she describes the reason why pop culture is important. Writing about popular culture is more the view from the ground. It’s looking around at the people you both live with and walk past, looking at what they’re listening to and reading and thinking about, whether it’s what they ought to be thinking about or not. In short, you don’t have to like the resonance of a moment in order to acknowledge it. And how you write about it is always going to matter more than what you’re writing about. It’s always going to be possible to write well about small things or badly about big things. It’s easy as pie to write dumb, destructive things about war or the economy or hugely critical issues — things that have the capacity to be far more of a scourge and a danger than somebody writing any of the really intelligent pieces that went around about Miley Cyrus twerking. (That, by the way, stoked all kinds of interesting conversations around race, gender, appropriation, tradition … sometimes a twerk is just a twerk, but sometimes it is emphatically not.) So no, Justin Bieber is not important. But Justin Bieber is, and for me personally, it matters what’s being said, not just what it’s being said about. In closing, Transparent does focus on the view from the ground, and the issues and a Trans person goes through as an individual. Furthermore, Transparent touches on the view of this group as a whole, which is also helpful because you can see the big picture from their perspective. In closing, Transparent is the most progress that has been made for this community in a while, since it is all about this group of people. Shows and movies are a huge part of Media and Pop Culture because entertainment is the thing that changes the public opinion quickly, not actual serious life events. According to ETonline.com more and more shows will be coming out this year with this topic as it driving force, Besides the Jenner spin off. “Discovery Life’s New Girls on the Block follows a group of Trans women in Kansas City, Mo., and is set to premiere in April, and ABC Family recently announced My Transparent Life, a show that aims to be the real-life version of the Emmy-award winning Transparent.” Hopefully, this group will gain respect and cross the finish line into equality (even if it is one piece at a time). Dubsmash is a video message app that allows you to record yourself to a pre-selected synced sound clip. You can record yourself in a small mini video saying famous movie lines, singing songs, animal sounds, speeches, TV , internet hits, and many more. You can save the video to your phone, in fact that is the only way you can save the video. Then you can upload the video, to Facebook, Youtube,Snapchat, Instagram, Vine, or even via text. They do not yet have a page where you can upload your videos to the public, and view other dub videos. The owners of the app wanted the videos to be personal, for friends and family. While still leaving the option for you to upload your video on any social medium, this app is only for Ios and Android. “A first strong indicator for a hit was reaching the number one position in Germany within a week after the official release. Repeating this situation in a different markets confirmed that Dubsmash can be internationally successful”. The app is still being upgraded, new features are coming to the app. The app will improve the sound discovery, add sound boards where you can upload your own sound and share as well as subscribe to other boards. This helps to make the displayed content way more relevant and personal to each individual user. They are also considering making a different app where you can upload and watch videos from other dubbers. The founders of dubsmash had made a previous app called Starlize that was not successful. The makers thought that the app was to complicated for most people although it was similar to dubsmash in certain ways.They learned a lot from the failed app and that’s where they realized they wanted to keep the app more personal. Dubsmash started receiving attention from the media appearing on Good Morning Philadelphia, CBS, and other local news station across America.On the air the explained how the app works, and everyone had made their own videos.This is a clear example of taste making, and the news are the taste makers. Jack Lule wrote an article on taste makers, the article is called Understanding Media and Culture. In the article Jack says “Historically,Pop culture has been closely associated with mass media that encourage the adoption of certain trends. We see the media as taste makers people or institutions that shape the way others think, eat, listen, drink, dress and more. Taste makers can have a huge influence”. Dubsmash also became known more in the USA, because they have a large selection of internet sensations. From small sound clips of Donna Gooding being arrested saying ” POP hold it down” , or who can forget the cute little boy “You think I am cute yes or no” and then he gives a little laugh. Songs from Nicki Minaj, Lil Wayne, U2, Meatloaf, etc. The famous speech from our former president Bill Clinton ” I did not have sexual relations with that woman” or the most recent speech from our current president Obama ” I have no more elections to win. I know because I won them all”. I think that this app is Pop culture totally because, its fun and silly. You get to relive things that use to make you laugh. You can act and be certain character, animal, or make silly sounds. Then just upload them on other social sites and laugh with your friends. In today’s time a lot of like to record silly things that we do on a daily basis, thats why sites like snapchat, vine, insatgram are so successful. We post them for the world to see in hopes that one of or silly videos may go viral. I think that some people would love to become an internet sensations overnight. The app is simple anyone can use it, all age ranges. With the large sound collections ranging from 80s hits to the new millennium anyone can find a sound clip that they would want to use. 4k or QHD, as it’s called by monitor and television manufacturers, is being made out as a pretty big deal. The amount of detail in 4k footage is a whopping 8 times that of full 1080p HD. But, this doesn’t necessarily mean you’ll notice it. The reason why HD and Full HD were big deals in early millennial pop culture isn’t because it was new and expensive, (like 4k is for now) but because the detail in the image was drastically different than that of VGA(640×400) and PAL (768×576) which simply couldn’t manage to create lifelike images. 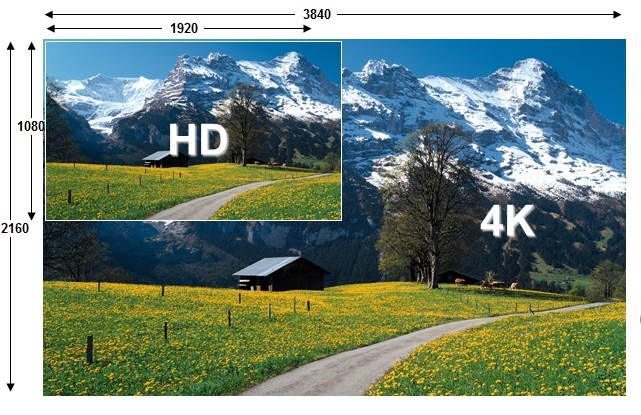 Now that HD can create realistic scenes, what advantages does 4k offer us? When introduced the Full HD standard provided enough pixels to offer amazingly vivid and crisp images to the eye, through means of increased resolution. HD made a difference no matter if it was a handheld device, Tv, or computer monitor. It was simply better than previous standards and their respective resolutions which had failed to create crisp images. Although 4k is 8 times more detailed than Full HD, it does not seem as big of a jump as SD was to HD(which was also around 8x the detail). [Denison] This is because HD already offers us crisp images, the increased pixelation of 4k is largely unnoticed unless the viewer is watching a large screen at a very close. This is because most devices do not benefit from the added resolution as the eye can only perceive fine details of a few mm before the mind literally removes it. [Diaz] Because of this though 4k can be used to make even larger televisions and screens meant to be viewed up close. 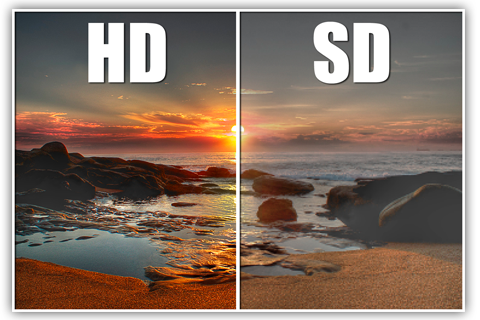 This is why many reviewers note that there is not a great difference when watching 4k TV shows over full HD. Retina display test. 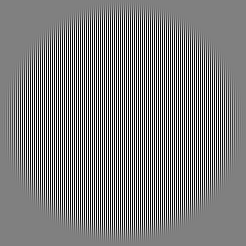 The black and white lines are only 1 pixel wide and hence only show up on displays that have visible pixelation at normal viewing distances. NOTE: this is not a working test. follow the link if you wanna try your display! This same idea is expressed through the science behind Apple’s retina line which holds that 326ppi is enough to fool the eye to not perceive pixels up to 6 inches close to your face. [Bayon] The math behind this depends largely on the size of display and average viewing distance, you can see if your display is “Retina” quality or not through this retina test. Now that you have a better idea of the science behind pixel quality, imagine a Tv with a high PPI (pixels per inch) that is around 6 feet away? The amount of information your eyes would receive would be about as much as Full HD. 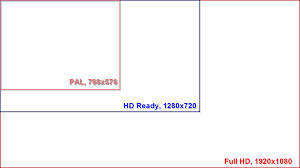 This means that video display technologies have reached a “perception filter”. The scientific principles of this can be explained through what is called the nyquist limit. An example of which can be described in terms of Audio Standards. The CD studio standard for sampling a digital recording is 44.1KHz or about 2 times the amount of frequencies a human can hear. Since humans can hear up to 22khz the sampling rate is 44.1k so the wave can fluctuate the full 22khz in both directions. Now there are newer standards such as 48k, 96k, and 192k that claim drastic advantages over the 44.1 format. Although the added resolution is ideal for pitch or time stretching of the audio in a professional environment, we will never technically hear the advantages of the added resolution. The reason why 44.1k was used as a sampling rate for music isn’t because of some patent or inventor, but rather we cannot physically hear any frequencies not between 20-22,000 Hz. In fact most humans can barely reach 15khz before drop out. Now for the first time, we have reached that level in video. Where the amount of data we can display exceeds the amount we can perceive. This wont stop manufacturers from marketing to you the same plea they did during the jump from SD to HD though. 4k holds about 8x more pixels over full HD, but at an average viewing distance of 6ft most probably won’t even notice the changes. So why is 4k not doing as well as HD did when it debuted? Well that is most likely due to content distribution, 4k screens have cheaper options than HD did at first but very little content to play. Of course consumers may also realize the limited advantage of having one, as HD already provides adequate color, full audio spectrum coverage, and realistic images without pixelation in most situations. 4k just doesn’t have as much (noticeable) bang for their buck. I believe the current Pop technology culture definition that surrounds the standard is the reinforcement theory. As explained by sociologist Joseph Klapper; “Klapper argued that people’s attitudes, beliefs and behavior were more likely to be influenced by their family, schools, communities and religious institutions. According to Klapper, the only time the media can influence people is when the media introduces a new idea or concept..” This is especially true for 4k as manufactures frame the technology as revolutionary, yet the masses have yet to catch on. Rather they are more likely to upgrade to modernize their home or impress their neighbors, family, or coworkers. This goes to show they are more directly influenced by other people than the mass media. 4k will catch on but for now repeated attempts to frame 4k as more radical jump than HD to SD are just plain wrong. Despite the marketing used it’s evident that the consumers are more likely to use the new standard as those close to them utilize it as well, effectively reinforcing the consumers own thoughts about the necessarily of 4k. Q Artis, Anthony. “Cinematography- The Problem With 4K.” Mastering Film. N.p., 12 Nov. 2014. Web. 08 Mar. 2015. Cronk, Steve. “The Benefits of 4K Video.” Aberro Creative. Aberro, 17 Nov. 2014. Web. 08 Mar. 2015. Diaz, Jesus. “The Cutting Edge of a Knife Is Totally Invisible to the Naked Eye.”Sploid. Gizmodo, 23 Dec. 2014. Web. 08 Mar. 2015. Bayon, David B. “The Science of Retina Displays.” PC PRO. N.p., 5 Oct. 2014. Web. 08 Mar. 2015. Denison, Caleb. “Yes, You Really Can See a Difference between 4K and 1080p.” Digital Trends. N.p., 31 Oct. 2014. Web. 08 Mar. 2015.